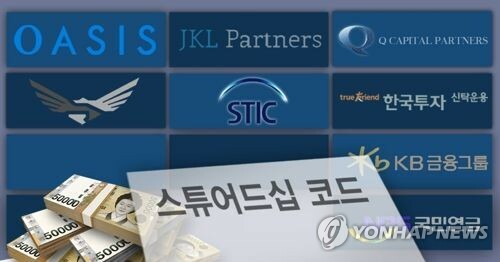 The so-called stewardship code for institutional investors has led to positive effects in foreign countries, including a boost in shareholder interests, the welfare ministry and the state pension operator said Wednesday. South Korea's National Pension Service (NPS) is seeking to adopt the stewardship code late this month, which refers to a set of principles or guidelines aimed at making institutional investors active and engaging in corporate governance in the interests of their beneficiaries. Citing reports published in Britain, which introduced the code for the first time in the world in 2010, the ministry and the NPS said it has helped establish friendly ties between institutions and invested companies, and raise corporate value. In addition, unofficial shareholder activity, such as dialogue with corporate boards, has resulted in boosting returns for institutional investors. Those positive effects are seen as running counter to corporate concerns that the NPS may try to interfere in the management of private companies. The stewardship code was born out of soul-searching that determined the 2008 global financial crisis resulted from institutional investors' failure to check the boards and top managers of invested companies. Following the lead of Britain, the United States and other major advanced economies have introduced the system as of 2017. South Korea adopted its own version in December 2016. A total of 11 local asset management companies and two investment advisory firms have adopted the code. Major overseas institutional investors, which have introduced the code, include the Canada Pension Plan Investment Board, the California Public Employees' Retirement System (CalPERS) and APG, the asset manager of the Dutch civil service pension scheme. Meanwhile, the investment management committee of the NPS is slated to hold a meeting on July 26 to deliberate and decide on a plan to introduce the stewardship code. The NPS started to prepare for the introduction of the code in December last year amid intense criticism over its approval of Samsung Group's two flagship units, which came to light following a massive influence-peddling scandal involving a close confidante of ousted President Park Geun-hye.